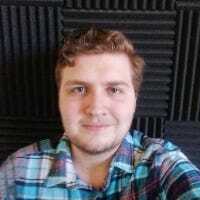 Discord has an excellent API for writing custom bots, and a very active bot community. Today we’ll take a look at how to get started making your own. You will need a bit of programming knowledge to code a bot, so it isn’t for everyone, but luckily there are some modules for popular languages that make it very easy to do. We’ll be using the most popular one, discord.js. 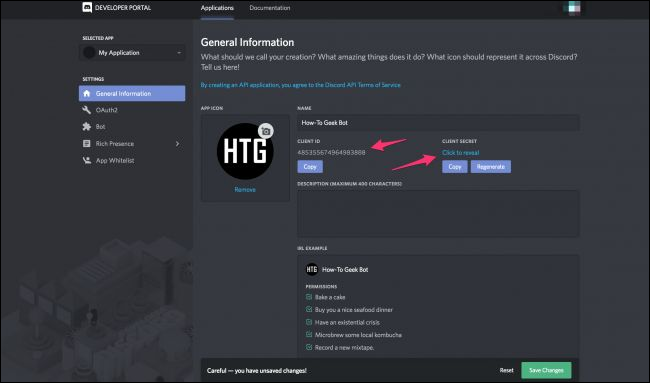 Head over to Discord’s bot portal, and create a new application. You’ll want to make a note of the Client ID and secret (which you should keep a secret, of course). However, this isn’t the bot, just the “Application.” You’ll have to add the bot under the “Bot” tab. Make a note of this token as well, and keep it a secret. Do not, under any circumstances, commit this key to Github. Your bot will be hacked almost immediately. You’ll need a text editor. You could just use notepad, but we recommend either Atom or VSC. This code is taken from the discord.js example. Let’s break it down. The first two lines are to configure the client. Line one imports the module into an object called “Discord,” and line two initializes the client object. The client.on('ready') block will fire when the bot starts up. Here, it’s just configured to log its name to the terminal. The last line logs in with the token from the bot portal. Obviously, the token in the screenshot here is fake. Don’t ever post your token on the internet. 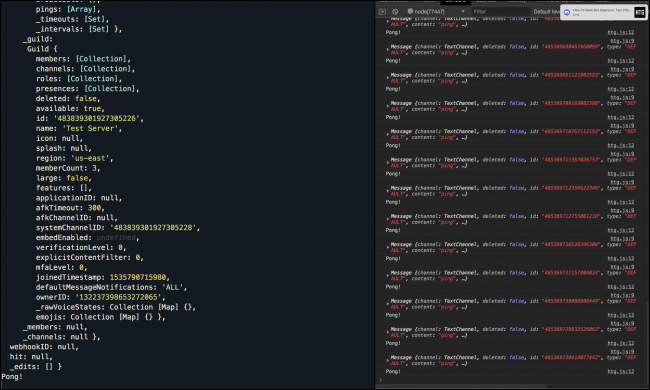 Copy this code, paste in your token at the bottom, and save it as index.js in a dedicated folder. Note: Be careful with this, as you don’t really want to deal with recursion. And replace CLIENTID with your bot’s client ID, found on the general information tab of the application page. 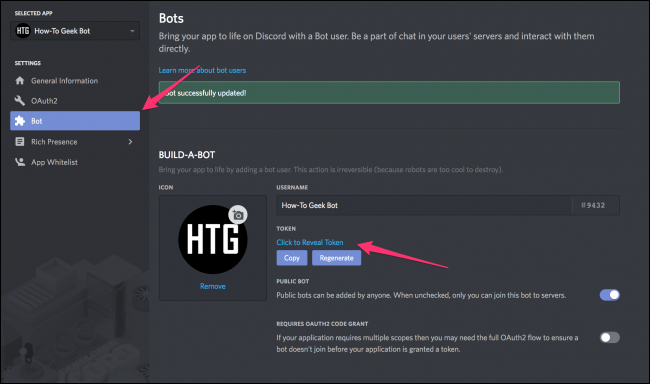 Once this is done though, you can give the link to your friends to have them add the bot to their servers as well. Alright, So What Else Can I Do? Beyond basic setup, anything else is entirely up to you. But, this wouldn’t be much of a tutorial if we stopped at hello world, so let’s go over some of the documentation, so you have a better idea of what’s possible. I suggest you read through as much as you can, as it’s very well documented. From here, you can learn a lot. Since you can add a bot to multiple servers at once, servers are part of the Guilds map object. In that object are the individual Guilds (which is the API’s name for “server”) and those guild objects have channel lists that contain all the info and lists of messages. The API is very deep, and may take a while to learn, but at least it’s easy to set up and get started learning.